Women who choose to have a home birth see pregnancy and child birth as a normal, healthy part of a woman’s life. Giving birth in the calm, peaceful atmosphere of your own home has many advantages for both mother and child. The laboring woman is in familiar surroundings and has the ability to move around freely, take showers or baths, and to take walks. She maintains support from her partner and loved ones as well as continued care from her midwife. A gentle birth experience is the best foundation for a baby’s physical and emotional well-being. Studies have repeatedly shown that home birth for low-risk mothers with an experienced practitioner results in better outcomes for both mother and baby. My care includes: complete prenatal, home birth and postpartum care for mother and child. Nutritional counseling, prental testing and recommendations and assistance in using alternative therapies such herbs and homeopathy, nutrition, meditation, hydrotherapy, exercise, massage and yoga to help achieve and maintain a health pregnancy. Each prenatal visit with me, is an hour long. I see you each month until 30 weeks of pregnancy and then every 2 weeks until 36 weeks. The visits then become weekly until the time of birth. There will also be a home visit at 36 weeks, where your tub will be delivered, if desired. When possible, a prenatal gathering with other New Jersey home birthing mothers expecting around your due, will meet for a pot luck lunch in either office location. Postpartum visits will be made to your home over 2 weeks after you have given birth. I will file the birth certificate as well as offer Newborn Metabolic testing, if desired. The requirements for a home birth include good physical and mental health, maintaining low medical risk and a normally progressing pregnancy. If you are interested in having a natural childbirth or are looking for holistic birthing options in New Jersey, contact us for our natural birthing options. 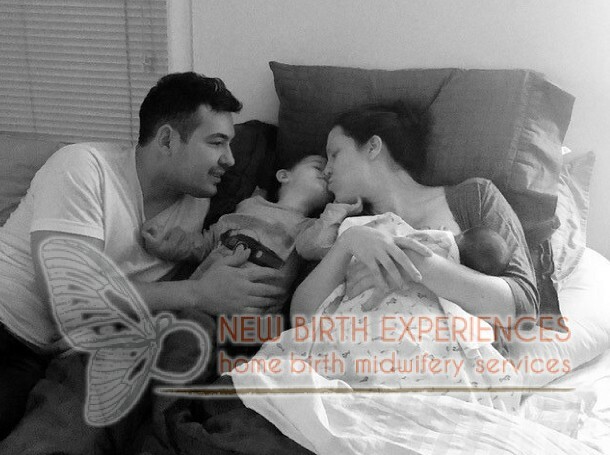 Having a home birth is both a personal and beautiful experience in a woman’s life. The main goal of having a birth at home is to make you as comfortable as possible. This means that you can have as many or a few friends and family that you wish to be involved in your home birth experience. This includes myself as well as my assistant. Another option to make you more comfortable is water birth. There are several advantages to this method of home birth but it is a personal preference. A more in-depth look into water birth is explored on this site.